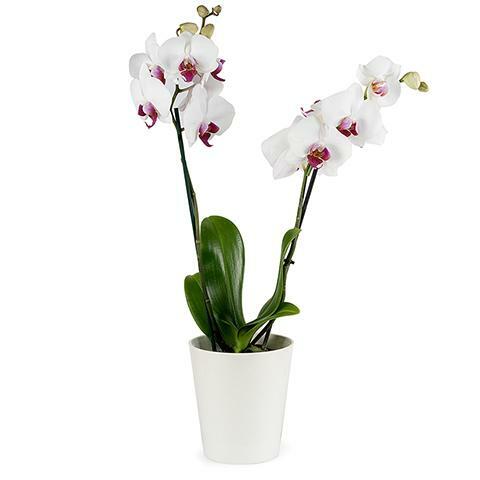 Share a dazzling white orchid with those you love and add some extra light to a special someone’s celebration. Send orchids online with FloraQueen’s international delivery service and share the gift of quality flowers prepared by expert florists. Sending beautiful plants in time for birthdays is easy with FloraQueen’sinternational plant delivery service. Make a birthday plant delivery today and choose from some of the best plant gifts to make someone’s birthday extra happy this year. Plants are a long-lasting gift and are an ideal reminder of your affections all year round. It doesn’t matter if your friends and family are celebrating far away or overseas. Your gift can reach them just in time for their birthday with our international plant delivery service direct to their address to make their special day extra magical. Not only do plants improve the decor of a home, but they also in many cases clean the air and add a touch of extra vibrancy and positivity during the whole year. Many of our plants require only a few steps of care making them perfect for “green fingered” loved ones or friends and relatives who’ve only ever had artificial plants around the home previously. What plant should I choose? There are also many other options available in our online catalogue. With varied colours and shapes, birthday plants are beautifully expressive gifts to surprise with. Send a plant that your special someone would love in their home or that suits their personality with our selection. Is an international plant delivery easy? Sending birthday plants internationally only takes a few clicks.We work with florists all over the world across over 100 countries to ensure that we can delivery your plant gift almost anywhere.